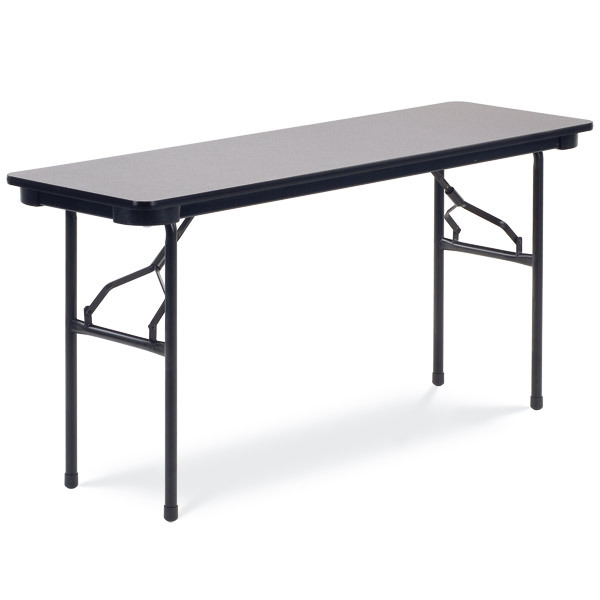 Stock #91275 - Virco 602460 Heavy-duty Laminate Folding Table- 24" X 60"
Virco’s 6000 Series Heavy Duty Laminate Folding Tables have a thick core with a fused-on melamine surface. 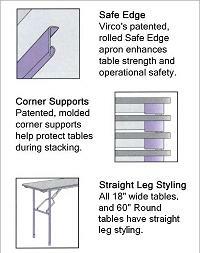 They also come with a patented, rolled apron and molded corner supports for enhanced safety and durability. Backing sheet helps to keep out moisture to prevent warping. 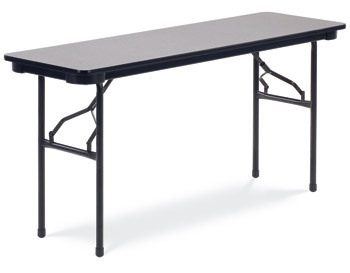 Availability in a number of sizes and shapes makes these folding tables by Virco versatile. Fold them up to move around or when not in use.